USC Sea Grant and SEA Lab offer a CalNat course for community members and Conservation Corps. Photo by Gwen Noda. Promote environmental literacy and critical thinking about, and participation in, stewardship of California’s natural resources. Develop a core group of committed and educated citizens who participate in resource conservation, preservation, and restoration efforts and strengthen their connection to UC faculty and institutions (museums, gardens, reserves, UC Press/ANR Press). Provide participants with the knowledge, skills and confidence needed to educate others and participate in resource planning and public decision-making. Partner with informal science and education organizations to support program implementation and advance other aligned learning and stewardship activities. 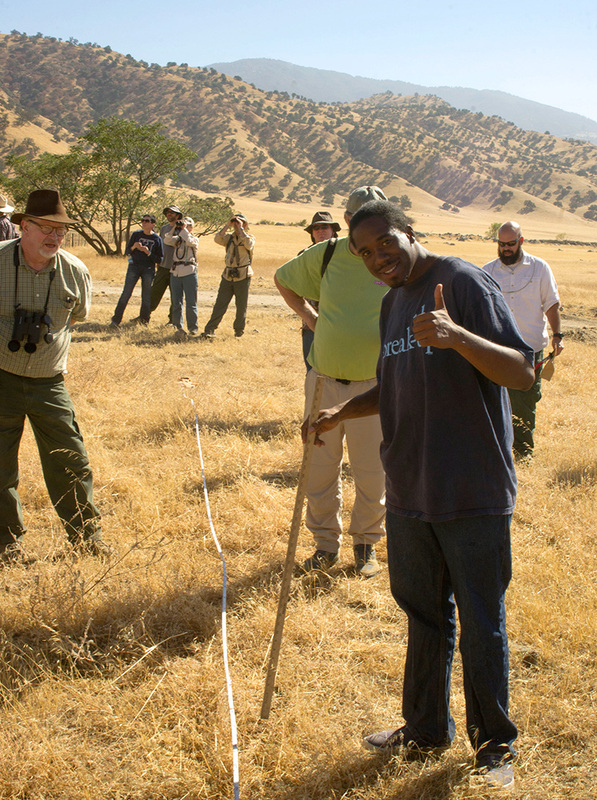 Tejon Ranch Conservancy California Naturalists work on habitat restoration. Photo by Scot Pipkin. 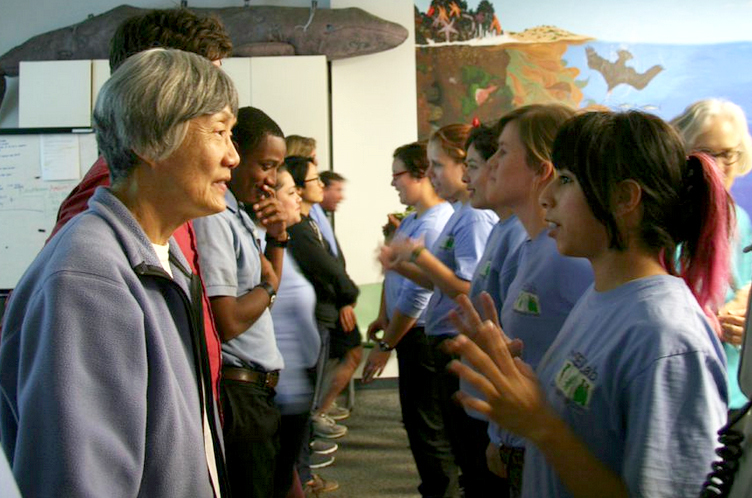 Participants in the CalNat program (often teachers, interpreters, docents, green collar workers, natural resource managers, or budding scientists) complete a 40+ hour science-based curriculum involving hands-on learning, online projects, communication training, and community service. Participants can choose a course with one of CalNat’s partnering institutions based on location and their interests. Course topics include the value of natural history and traditional ecological knowledge, geology, weather, water, plants, wildlife, energy and global issues, and interpretation and communication. A few of the 26 partnering organizations include the American River Conservancy, Point Reyes National Seashore Association, Calaveras Big Trees Association, Jepson Herbarium at UC Berkeley, and several UC Natural Reserves, with even more partnerships expected in the year ahead. 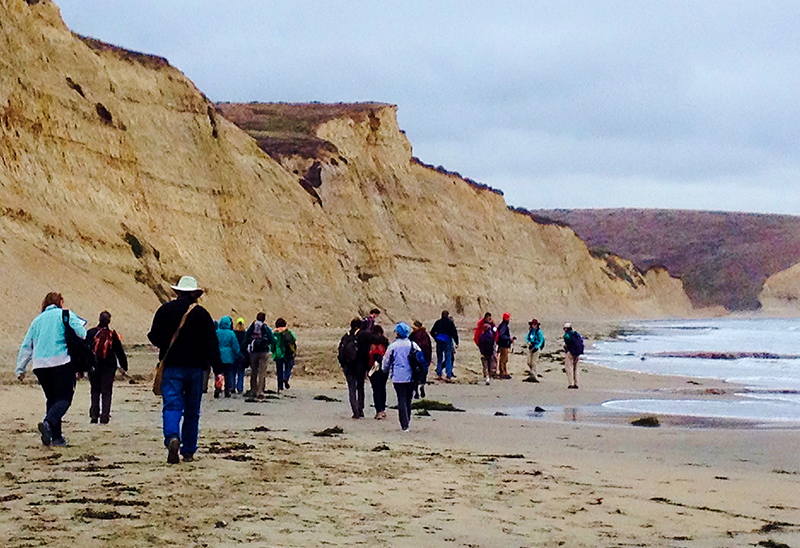 Today, over 1,100 Californians have been certified as California Naturalists. These Naturalists have logged over 30,951 hours of service work in environmental stewardship/restoration, education/interpretation, citizen science, and program support, as well as over 2,700 educational contact hours sharing knowledge with community members. Thanks to recent efforts by Dr. Sabrina Drill, CalNat Associate Director, CalNat is now expanding opportunities for young adults from diverse backgrounds to become a certified California Naturalists by working with a number of institutions in Southern California such as Pasadena City College and Tejon Ranch Conservancy. Mountains Recreation and Conservation Authority (which manages land in both the Santa Monica Mountains and downtown Los Angeles) incorporated the CalNat curriculum into a longer Bridge to Park Careers workforce training program for young adults from diverse backgrounds, resulting in the hiring of a cadre of new rangers well-versed in California natural history. Point Reyes National Seashore Association CalNat Immersion Class. Photo by Brook Gamble. The University of Southern California Sea Grant program and the LA Conservation Corps SEA Lab teamed up to expose young adults from underserved communities to the coastal ecosystems of Southern California and potential jobs in the environmental field. The Dominguez Rancho Adobe Museum brings together California’s rich cultural and natural histories in the heart of south Los Angeles County. Additional CalNat programs will soon be popping up in Cambria, Carlsbad, Riverside, and Ojai, and the CalNat team is working to develop partnerships in San Diego County and Orange County and along the L.A. River, as well as more northern California locations such as Davis and Chico. Interested in getting involved in CalNat? Consider taking a course yourself, becoming a partner organization, or donating to support the UC CalNat scholarship program.